The Sonos Controller app for Android found itself a much needed update this morning, bringing it to version 3.6. Included in the update is support for more tablets like the Kindle Fire, more Spotify features (new releases and top tracks), and the addition of Slacker Radio to its music services. If you own any of their HiFi speaker systems, be sure to update the software on all of your portable devices, but on your PC and Macs as well. 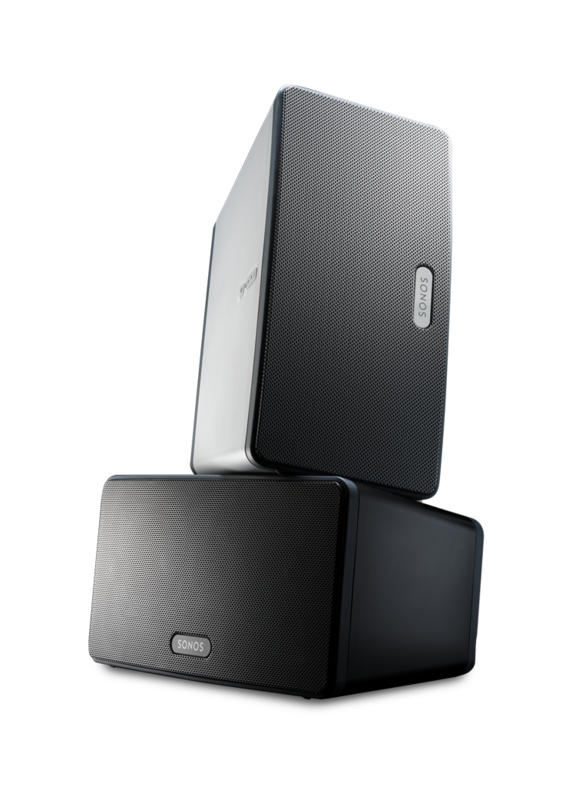 SANTA BARBARA, Calif. – November 30, 2011 – Sonos, Inc., the leading manufacturer of wireless music systems, today announced Sonos System Software 3.6, an innovative update that adds more control and more music to the Sonos Wireless HiFi experience. This free software is available to all Sonos customers via a one button update to their system. The free Sonos Controller for Android now supports Android® tablets as well as smartphones, letting you control Sonos from any Android device. With Sonos, you can stream all the music on earth wirelessly in every room, and now control it wirelessly on a larger screen with any Android tablet running 2.2 or higher, including the Kindle Fire, HTC Flyer™, Motorola Xoom™, Samsung Galaxy Tab™, Sony Tablet S™, and many others. Plus, Sonos Controller for Android includes new enhancements such as alarms, music library management and Twitter support for Android smartphones and tablets alike. Download it from Android Market. Slacker® Radio is now available as a free music service on Sonos in the United States and Canada. With Slacker on Sonos you can tune in for free to over 150 expert-programmed stations and create unlimited custom stations from a library of millions of songs. You can even read artist biographies as you listen in every room. Upgrade to Slacker Radio Plus for an ad-free experience or Slacker Premium Radio for even more features like on-demand access to millions of songs, albums and artists and the ability to create custom playlists. Subscribers can also fully personalize their ESPN Radio stations with their favorite shows, plus team and sports updates. To register or learn more about Slacker on Sonos, please visit slacker.com/Sonos. With Sonos 3.6 software, Sonos is also introducing Sonos Labs, a new Beta environment where customers will be able to test out music services before they’re officially launched on Sonos. New music services will be added to Sonos Labs on an ongoing basis. Media and music service developers can learn more about becoming a Sonos Labs music partner at http://musicpartners.sonos.com. Sonos 3.6 also includes improved Spotify® integration on Sonos, giving Spotify fans on Sonos access to their Spotify Inbox and ability to play music from Spotify’s new releases and top tracks. Full details of Sonos 3.6 software can be found here: http://www.sonos.com/support/software_updates/. The Sonos Wireless HiFi System makes it extremely simple to bring a world of music to any room of any home. Forbes recently said “it really is the best way I’ve ever found to play music.” The Boston Herald recently claimed “If you’re ready to completely make the switch to digital music, the new Sonos PLAY:3 may be the answer for a home stereo system in the age of streaming.” For more information about Sonos or to demo it at an authorized Sonos dealer near you, please visit sonos.com/storelocator or call 877.80.SONOS. Founded in 2002, Sonos is the leading manufacturer of wireless music systems, With Sonos you can stream all the music on earth, wirelessly, in any room and control it with your Android® smartphone or tablet, iPhone®, or iPad®. In addition to playing your personal digital music collection, The Sonos Wireless HiFi System gives you access to millions of songs and thousands of radio stations by partnering with AUPEO!, Deezer™, iheartradio™, JUKE, Last.fm™, MOG, Pandora®, Rdio®, Rhapsody®, SiriusXM® Internet Radio, Slacker® Radio, Spotify®, Stitcher SmartRadio™, TuneIn®, Wolfgang’s Vault®, and more. The award-winning system is available at more than 11,000 retailers in over 65 countries worldwide; or direct from Sonos at www.sonos.com. Sonos is a privately-held company, headquartered in Santa Barbara, CA with offices in Cambridge, MA, Hilversum, Netherlands, Beijing and Shenzen, China, and Penang, Malaysia.